Some time ago I did an interview on "The Florence Henderson Show" on the RETIREMENT LIVING CHANNEL. Florence does a terrific show and has some great guests (Hey, she had me, didn't she?) You can watch the interview right NOW (Over and over again) in the privacy of your very own computer. You'll see a few clips from my long awaited DVD and ME, live, right there next to FLORENCE HENDERSON. Thank you Florence Henderson for having me on your show. Great interview with Florence. I like the story about Steve Mcqueen,I think your right, everyone that watched you on T.V. felt like your were their freind! Your story about Thanksgiving reminded me of the time you had 'stereo' on the T.V. by broadcasting one side on your show and the other the radio. Still hope to see the DVD soon!! I loved the interview but it was TOO SHORT! Another few minutes (oh, say...another 30?) would have been perfect for more LT stories. By that, I mean more personal stories with "the stars" and even some home-life stories. I think you should be invited back to the FH show and given some extra time. Maybe when the DVD comes out? Heck, when the DVD comes out, you should do ALL the talk shows! Leno, Letterman, Conan, etc. WE MUST GET THE WORD OUT ABOUT THE DVD!! Just watched your interview with Florence Henderson. A very nice interview, indeed. Those were some great bits from the show. As all the pols say nowadays: I approve of this message. I just sent a little message about liking your interview with Florence Henderson, and I see my message already has a trash can under it. What did I do? What? You don't like my looks? Your mother never liked me? What? I just re-checked the blogs, and the trash can is gone. Now, I look like a fool. I feel like I'm in a new version of the film Gaslight. Somebody is trying to make me think I'm crazy. I am not trying to "gaslight" you. The trash can was there so you could ... eh ... I don't know why the trash can was there. Duke was my sound person for The Lloyd Thaxton Show. He set up the mikes for the guests and spun all the records (and for the record, he never made a mistake). Note the little "g'bye" he put in at the end of his comment. That was always the last thing you would hear as the show ended ... "g'bye." That was Duke's own signature on the show. Duke is the greatest (now will you stop complaining about that trash can?). Now you make me blush. Shucks. You say such nice things, I'll be happy to take the trash out for you anytime. Along with your many fans, I too, am waiting for your DVD to come out. Great interview. I loved the piece at the beginning, the "history of Lloyd Thaxton." The picture of Grandma and Grandpa Thaxton sitting in their living room watching you on television is a classic. It brought back good memories of sitting in the same spot as a child and watching the same television during the mass confusion of holiday celebrations. The picture of everyone at Thanksgiving dinner I hadn't seen before but looked like it also had good memories attached. I eagerly await the LT DVD. I hope this holiday season is happy and healthy for you and your family. 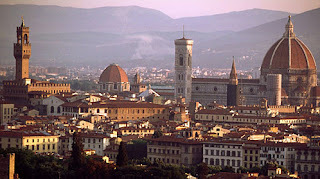 When I saw your "LT Visits Florence" e-mail I never thought of Italy for a moment. I was sure it would be a hand-cam following you wandering near the Fabulous Forum looking for a place to do the Slauson. Imagine my surprise when you had something else in mind entirely! A worthy interview despite its MTV brevity. That was very entertaining. Your living room style really came through. just sent it to my sister and a friend, who both used to watch your show, as I did, every day! When are your DVDs of the show coming out? I am dying to buy them! I just watched your interview with Florence Henderson. BUT .... You didn't even mention me in the entire interview!!!! My feelings were REALLY hurt!!!! Let's see. You say you sent it to your sister and a friend. That's two. Plus you equals three. Wow, three sales of the DVD already. It's a start. Sorry I didn't mention you my old time friend and writer of "The Tennessee Ska" (my biggest hit). Let's see if this makes it up: Billy Strange, Billy Strange, Billy Strange, Billy Strange, Billy Strange. I enjoyed the reminiscing about Steve McQueen but wish that I could have heard more about just YOU! How and where do I get this video that you put out? I've been wanting to get it for my siblings and friends too. I had no idea that you were involved with one of my favorite shows from the past, "Fight Back". I watched faithfully and wish it were still on. Hope that your holidays are going well and that we will see more of you on national stations across the U.S. soon! Actually the "best live performance" remark was edited out of context. Though they were also great guests on the LT show, I was referring to the Righteous Brothers live appearance at the Hollywood Bowl. Not too many people out of Southern California know that there is also a Florence, California, where they do the Slauson. I can't wait for the DVD. My parents and I used to watch your show every night while having dinner. I remember you lip synching to Sinatra songs with a broken cigarette. I also loved the Trombone solo's with the beat up horn. You really look good and your voice still sounds the same.I want to thank you for the wonderful memories I have as a teen in the 60's. What a great time that was. Great seeing you again! It has been at least 40 years since I last saw you on TV. I can't wait for the DVD!!! Happy and healthy New Year. I loved the clip before the interview and all those images of The Lloyd Thaxton Show made me smile. You know it is possible for you to bring audio and video to this blog...This little taste of Lloyd has whet the appetite...Now i think it is time to bring your powerful visuals (and voice) to the Internet...I for one would be watching!